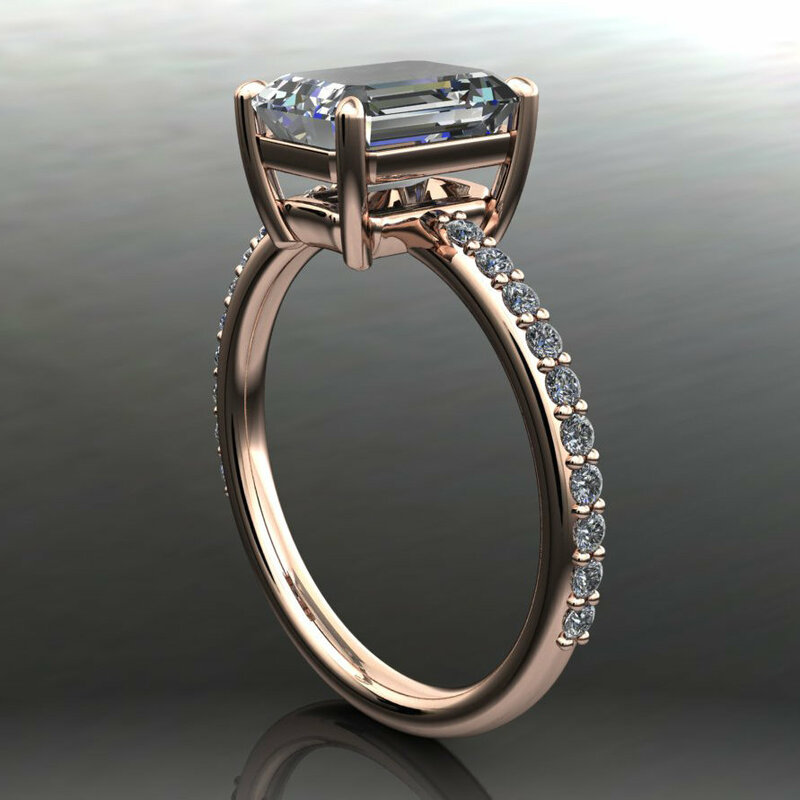 Sweet, sweet Eliza. 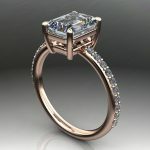 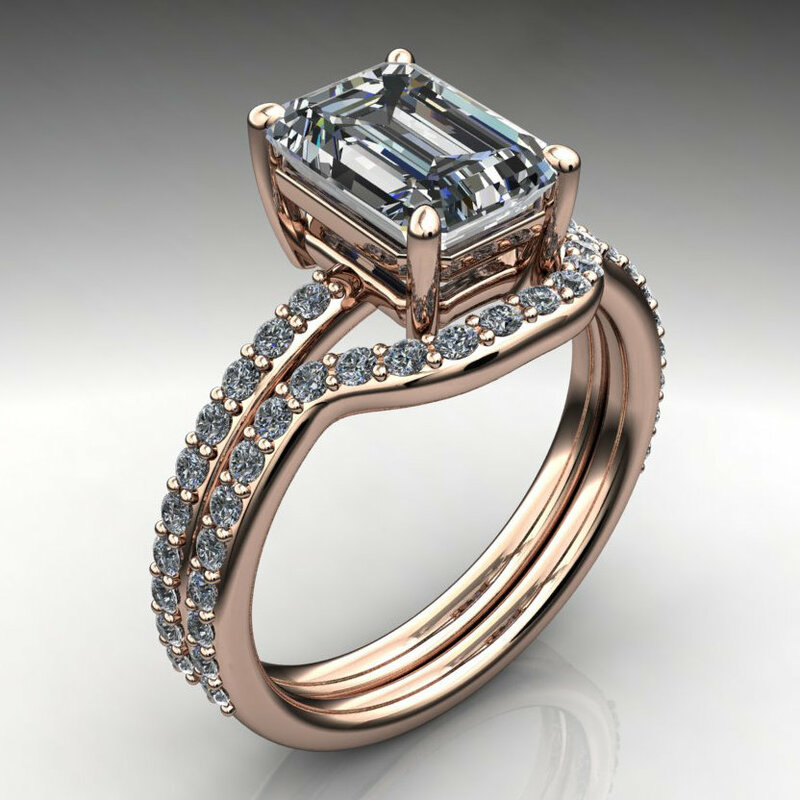 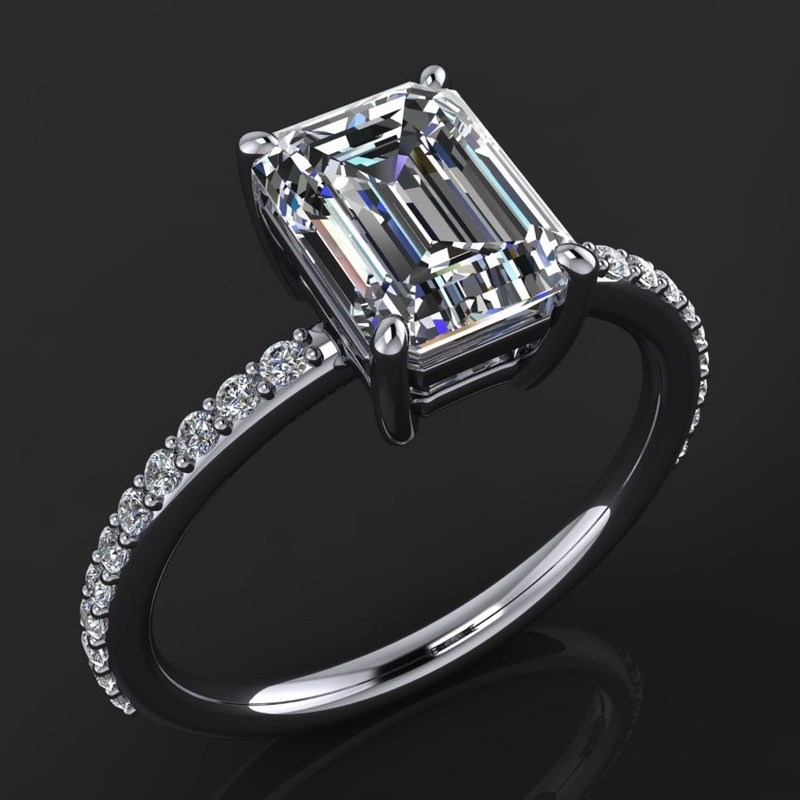 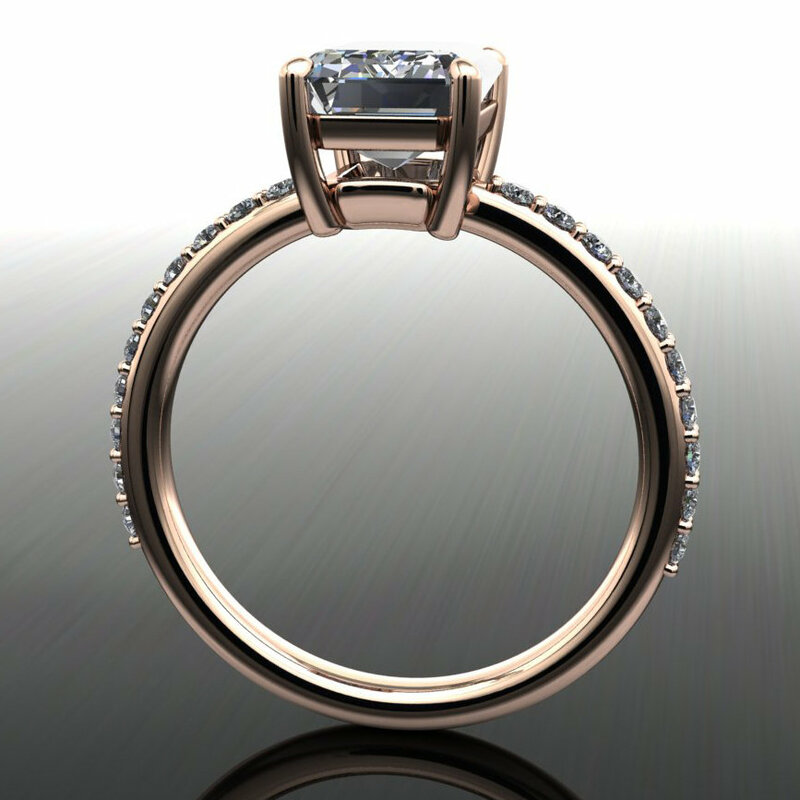 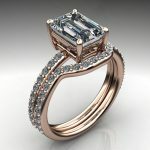 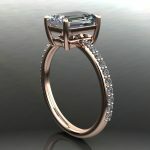 A killer 1.75 carat emerald cut NEO moissanite, set in rose gold and surrounded by diamonds. 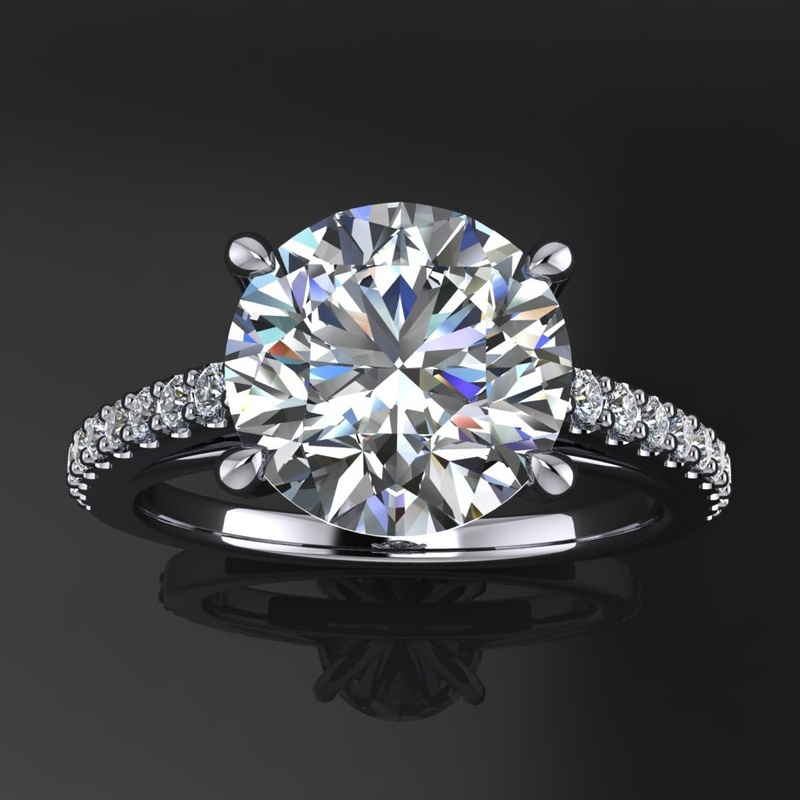 A matching band is available, sold separately. 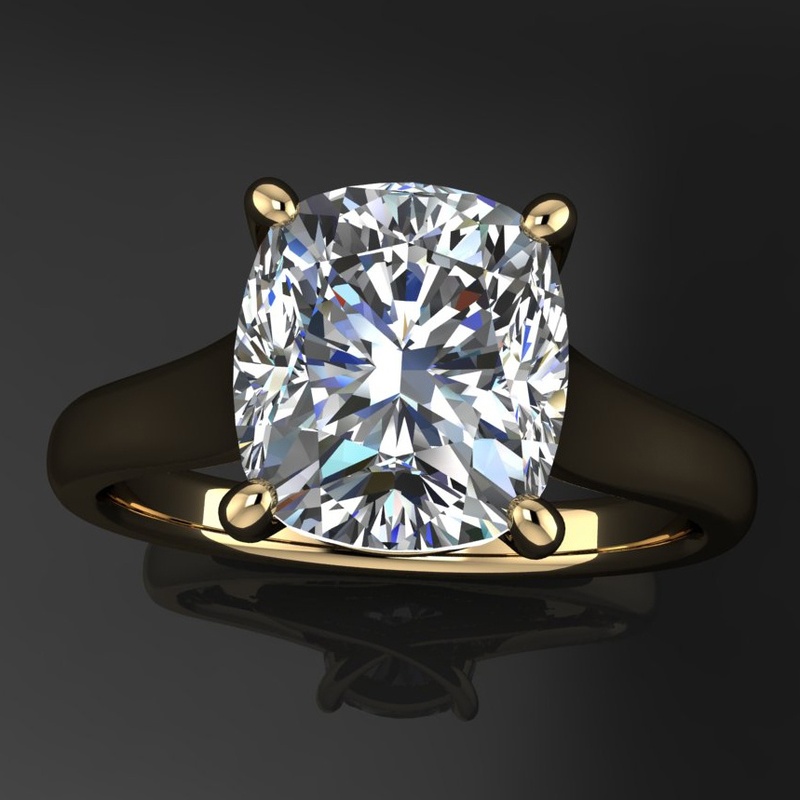 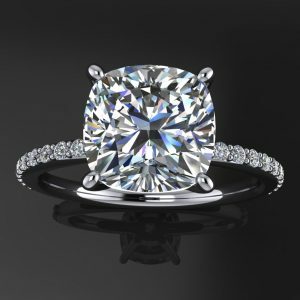 The diamonds we use in our rings are conflict-free, and the metals are recycled. Earth first, baby! 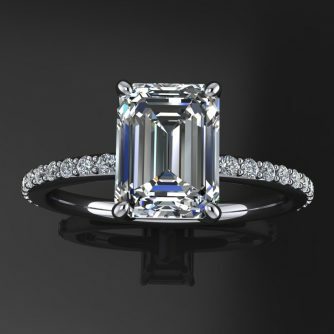 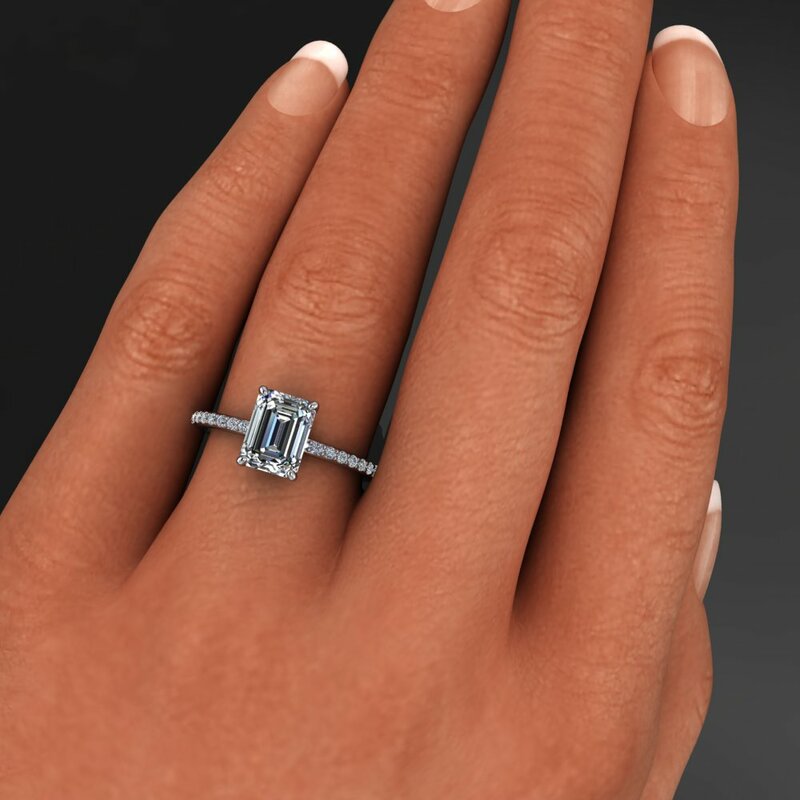 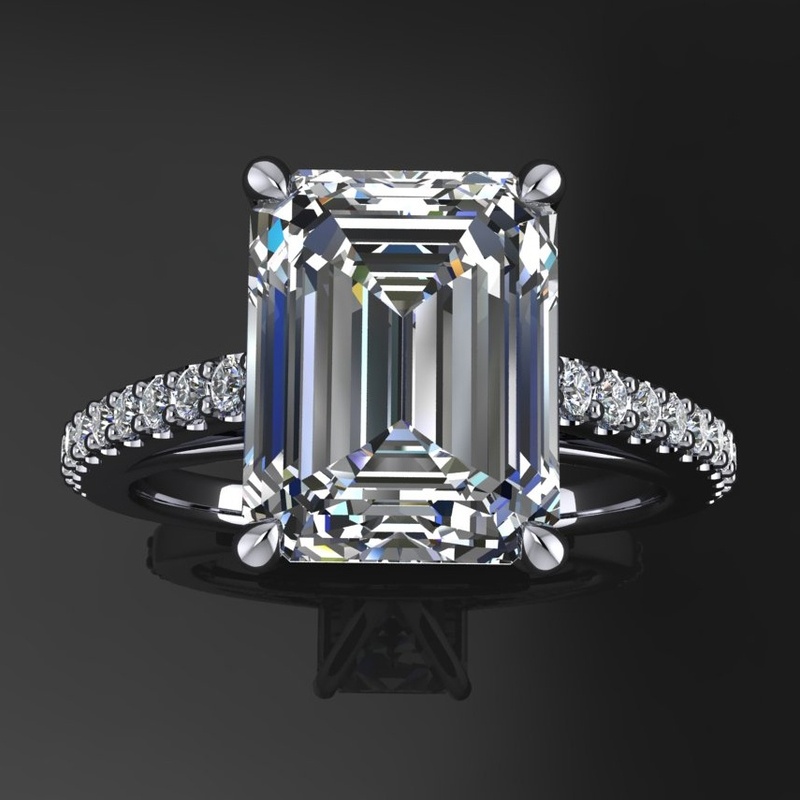 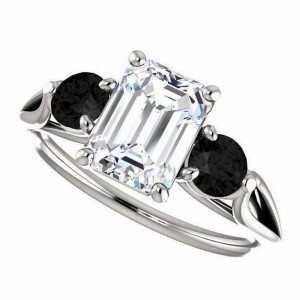 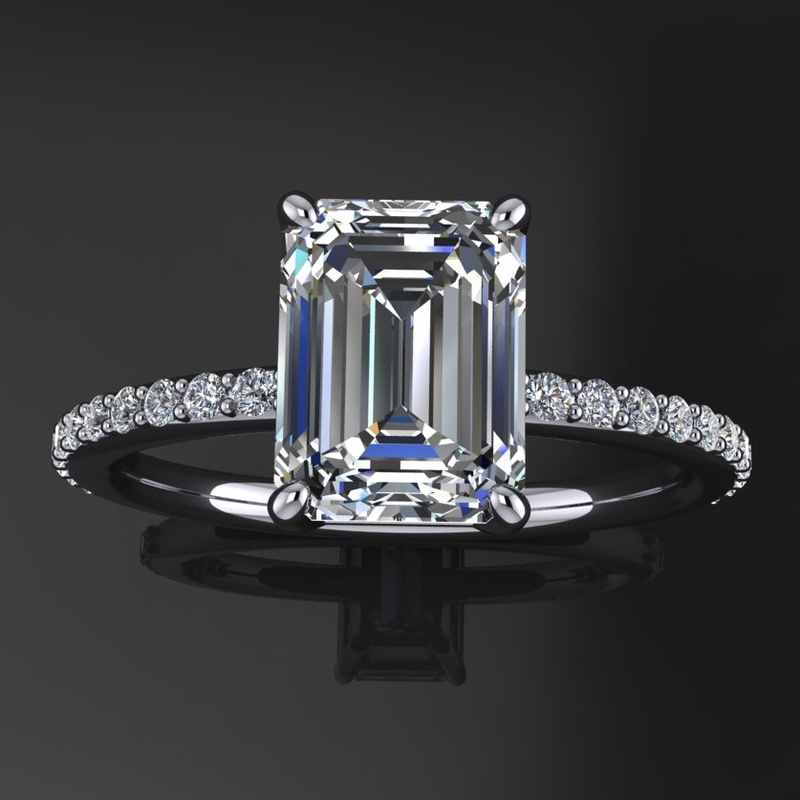 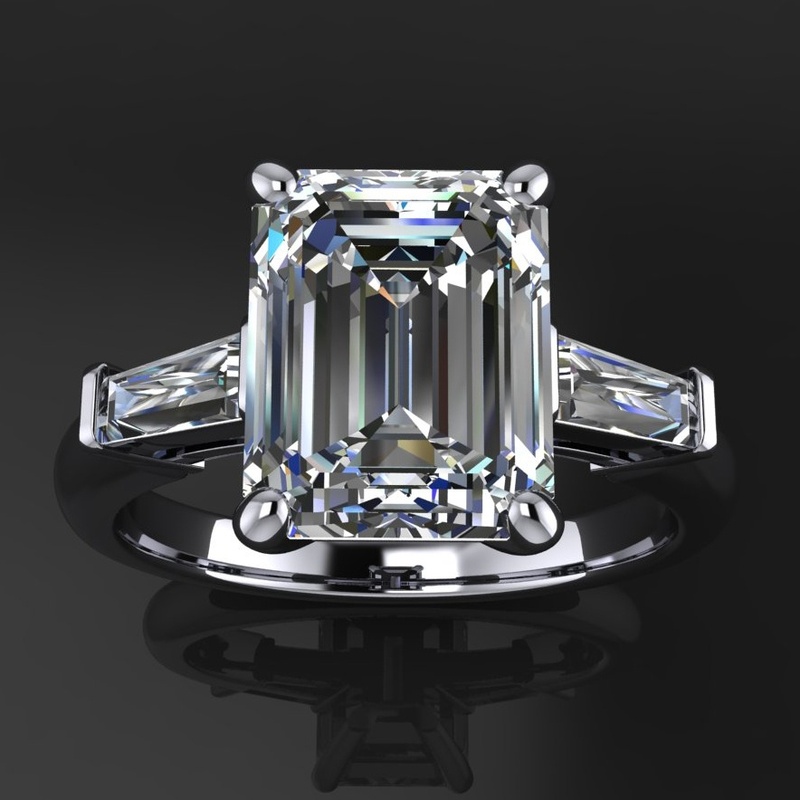 One 8x6mm 1.75 carat colorless emerald cut NEO moissanite. 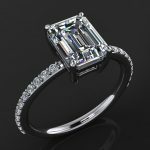 NEO’s have the most kickass warranty available on the market. 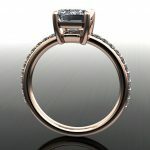 Twenty-two 1.3mm G+ SI1 round cut diamonds.